Have a friend restoring a 68 Shelby Convertible. 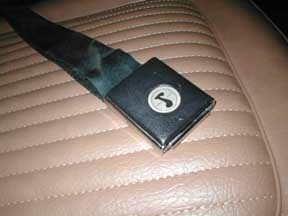 It has 67 style deluxe seat belts made 35th week of 67. I know of some 68 deluxe ones that was made 39th week of 67. So somewhere between 35-39 week there was a change. Now he wants to add shoulder belts with retractors. My guess he will need to modify some 67 retractors and add fastback upper belts. Any ideas? Or should he convert to 68 style with correct convertible retractors.